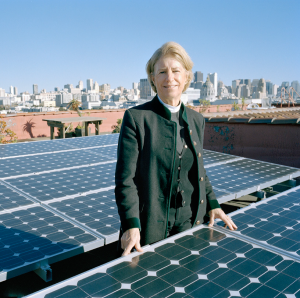 Ohio Interfaith Power and Light has its roots in a unique coalition (in 1998) of Episcopal churches in California aggregated to purchase renewable energy. In 2001, The Rev. Canon Sally Bingham, an Episcopal priest founded the Regeneration Project, whose mission is to deepen the connection between ecology and religion. 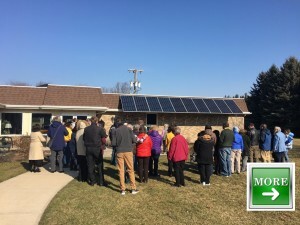 The Regeneration Project’s Interfaith Power and Light campaign seeks to mobilize a religious response to global warming in congregations through the promotion of renewable energy, energy efficiency, and conservation. Since, the Interfaith Power and Light campaign has moved into states throughout the nation. 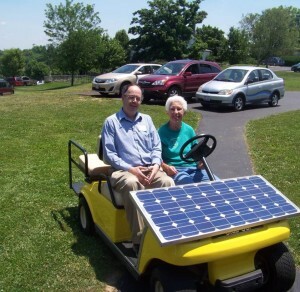 In 2007, while attending the Solar Conference in Cleveland, Ohio, Keith Mills, an engineer from Cleveland and Sister Paula Gonzalez, a Sisters of Charity nun from Cincinnati, were inspired to address the issue of global warming and agreed to co-found the Ohio affiliate of the Regeneration Project, Ohio Interfaith Power and Light. OhIPL continues to work with Ohio congregations to care for God’s creation through programs and initiatives.